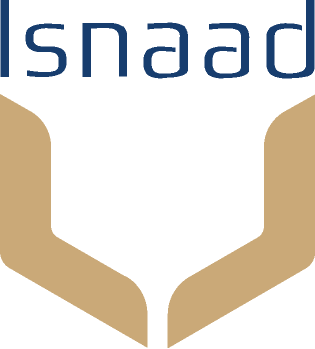 Isnaad is an award winning Soft FM services provider that was established by Imdaad in 2013, in order to provide in-house soft services to our clients. Additionally, Isnaad is ISO 14001, OHSAS 18001 and ISO 9001 certified. With over 3000 staff providing services to 150+ sites across the UAE, Isnaad offers significant added value to clients. Our commitment to quality is further evidenced by our BICSc accredited training centre. The three main services that Isnaad offers are General Cleaning, Specialised Cleaning and Manpower Supply. The general cleanliness of a facility can have a large impact on its attractiveness to potential tenants or customers. Moreover, quality cleaning is essential for meeting basic hygiene requirements and improving employee morale. We supply staff under our sponsorship to clients who need such staff on a temporary basis or who wish to focus on their core business instead of recruiting large numbers of staff and subsequently managing them from an HR perspective. We undertake extensive background checks and have updated records of all the staff we provide. We also train our employees and provide personality development and grooming courses to ensure that they are employment-ready. 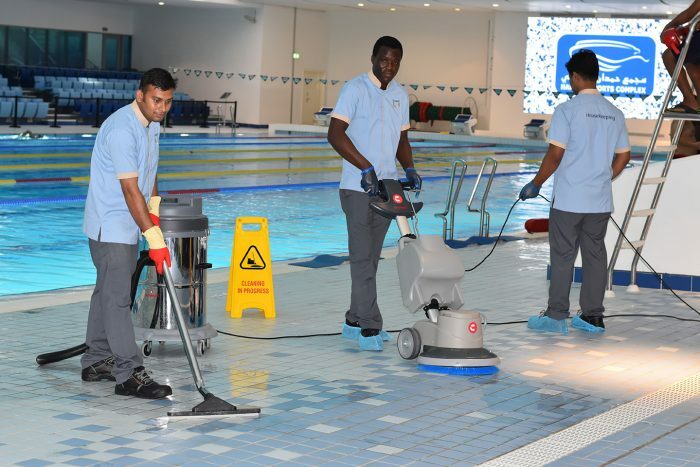 The Manpower Supply division within Isnaad typically provides Handymen, External Cleaners, Life Guards, Stewards (male and female), Waiters & Waitresses and General Helpers. A well-maintained facade is often the first impression that visitors have of your business or building. 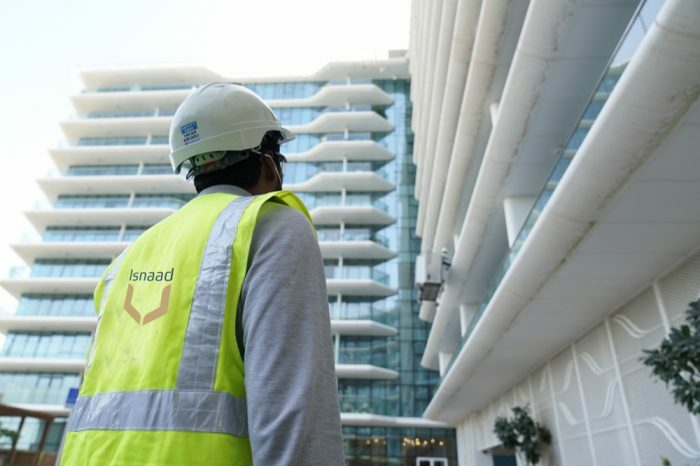 Isnaad makes sure that this impression is an overwhelmingly positive one through our highly skilled and certified technicians that work in accordance with local safety regulations and international standards such as IRATA, IPAF and BICS. Our highly experienced technicians are able to clean both domestic and industrial Water Tanks of all sizes. This is critical in order to ensure that the water you use is free from legionella and safe for consumption. As part of this service, we facilitate all approval processes in order to achieve a smooth completion of the job without delays. Our experience stretches from private and community pools to Olympic level high tech swimming facilities. We provide a full line of professional services, including pump maintenance and deep cleaning. We also offer on-site water testing and periodic testing through independent UAE approved laboratories as well as maintaining water quality and cleaning drainage and pool tiles. Crystallization is regularly required to maintain the shine and step security of your floors. Our expert technicians have in depth practical knowledge of diverse natural stone types and their treatment. We offer yearly and ad hoc services to enhance the appearance of your surfaces and protect them from everyday wear and tear. Special coatings are available which help to extend the lifetime of your marble and therefore reduce costs. 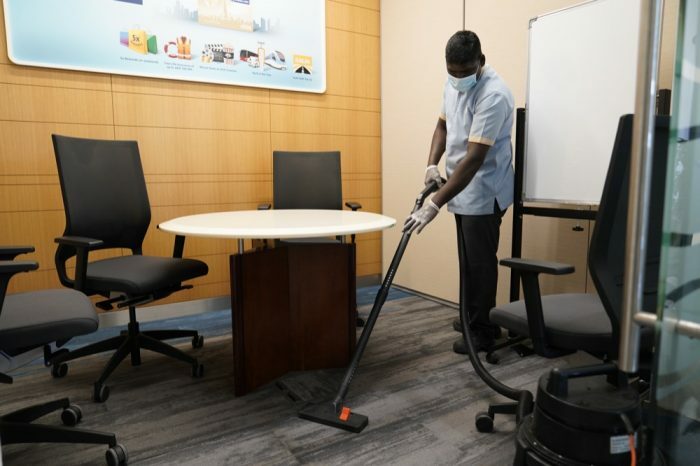 As well as protecting the value of your carpets and upholstery, deep cleaning is essential in order to protect your building’s indoor air quality. Our expert technicians use suitable methodologies depending on the fabric that they are cleaning and if there are any stains. We use advanced green cleaning agents that leave your carpets looking clean and fresh, without risking damage or introducing unnecessarily toxic chemicals into your property. 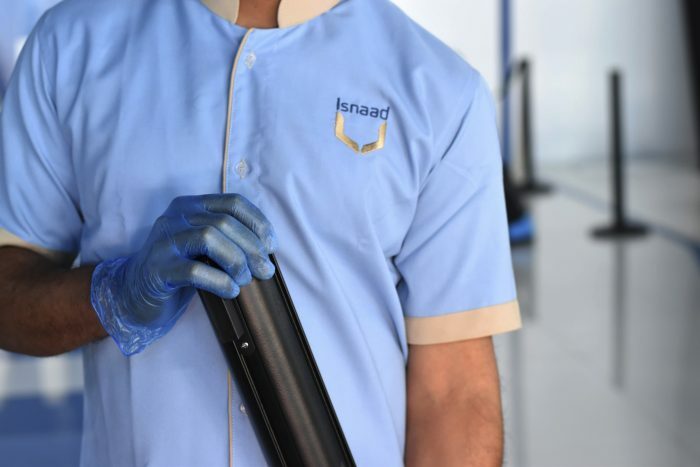 Isnaad’s professional chute technicians use specialized equipment to eliminate the residues that builds up on the inside walls of garbage chutes. This serves to control odors and reduce health risks for residents and visitors.